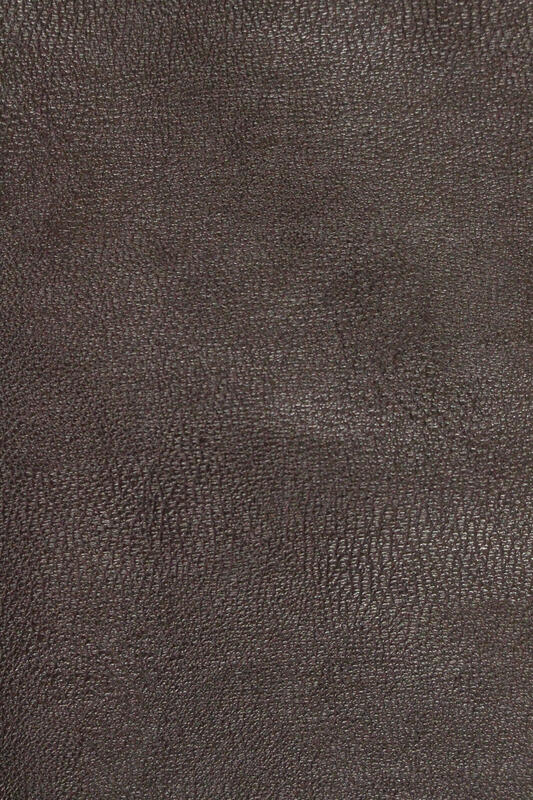 This is a fantastic faux leather!! 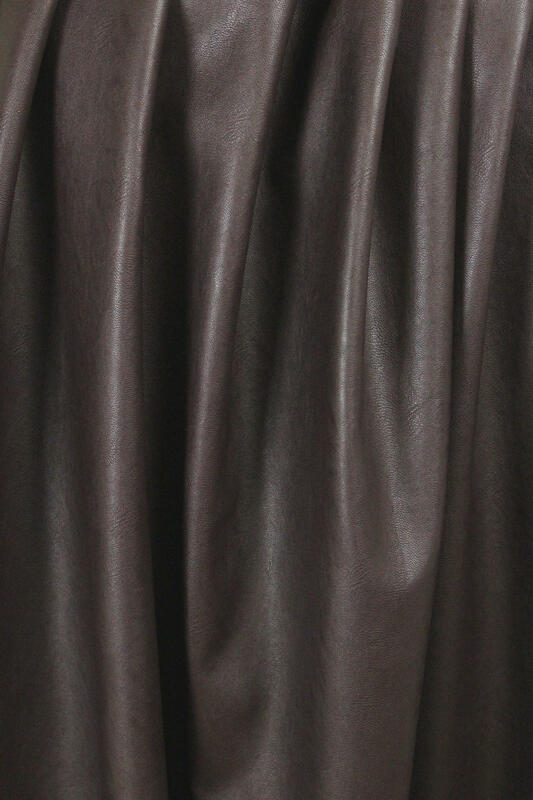 Beautiful quality, supple and soft with a wonderful drape, feels "real", and is backed with a soft and smooth viscose fabric for comfort. 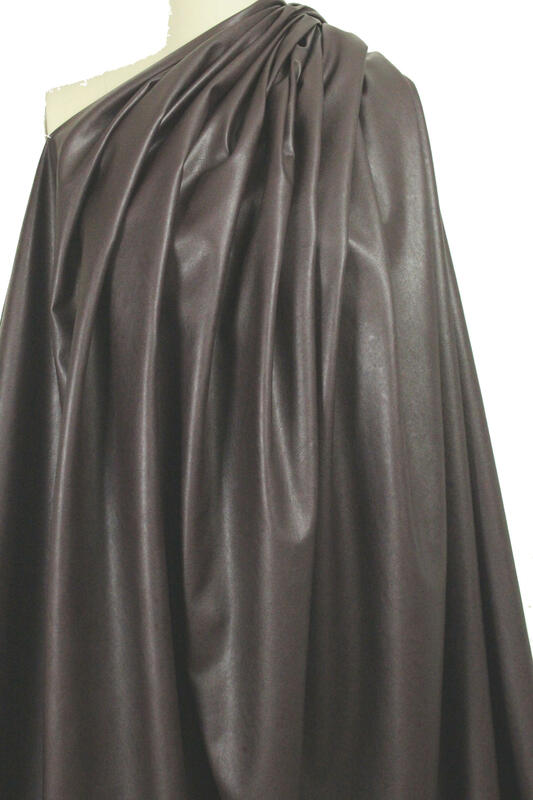 It's perfect!...and the color is a very dark plum brown (PANTONE 19-1420 is close). 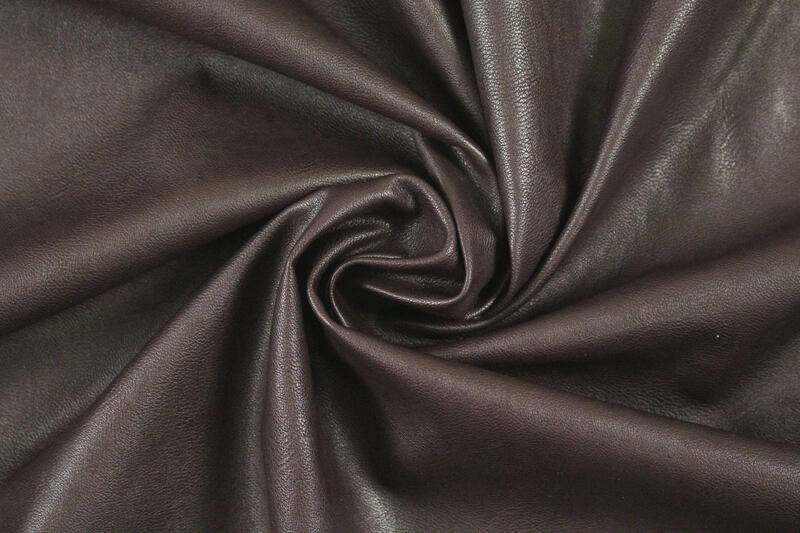 It has some give in the width only with perfect recovery, and it will work for anything from a coat, jacket or vest to sheath dress, skirt, pants or suit! Dry cleaning recommended by the manufacturer (any dry cleaning solvent other than trichloroethylene may be safely used), and they also say a medium iron can be used, but I would approach this with caution!